The Multiracial Category Movement originated in the 1980s when parents of biracial children began to challenge identification criteria on school data forms. By the 1990s, multiracial category advocates had shifted most of their energy to a campaign to secure the addition of a multiracial category on decennial census forms for the year 2000. Their efforts were ultimately unsuccessful. The debate concerning racial categories, however, extends well beyond census classifications. Although it is difficult to reduce such a controversial and complex topic to a few words, multiracial category proponents appear to believe that the category will: (1) challenge the use of racial categorization by forcing society to acknowledge that race is too fluid to monitor in an increasingly diverse society; (2) promote racial harmony by identifying a group that is capable of bridging the gap between Blacks and Whites; and (3) allow mixed-race persons to self-identify and to acknowledge all aspects of their racial heritages. Although one can understand the appeal of and the potential merit to these claims, proponents fail to engage sufficiently the complex history and present reality of colorism. The first argument-that a multiracial category will eliminate racial classification altogether and move society beyond racial divisions-is debatable. The adoption of a multiracial category is equally likely to contribute to the proliferation of racial categories rather than to their elimination. Even assuming, arguendo, that a multiracial category will cause society to recognize that race is too fluid to monitor, this claim assumes that along with racial classifications, discrimination will also disappear. But, one event need not follow the other. The fact that racial labels may no longer be handy does not mean that discrimination will disappear. Rather, the virus of discrimination may simply mutate or find another host. Because skin color has been used historically as a basis for subordination in this country, skin color may provide an alternative site. That is, in the future, skin color differences may increasingly perform the role played by racial categories today. In this new social context, multiracial individuals and other persons of color will still be subject to discrimination on the basis of skin color to the extent that their skin is too dark or too light. The second argument-that a multiracial category will produce an identifiable class of people who will facilitate interracial communications between Blacks and Whites-sounds like a modern-day appeal for a buffer class (a class distinguishable by its lighter skin tone). In the United States, however, buffer classes have not historically acted as catalysts for interracial harmony. Rather, they have served to increase the status of those in the middle (the buffer class) without fundamentally challenging the status quo for those on the top and bottom.1 In Brazil and Latin American countries where buffer classes have existed historically, the same dynamic has occurred. Thus, while tending to improve the lot of some, buffer categories fail to challenge existing racial and color hierarchies. In future discussions, proponents of a multiracial category must come forth with evidence that history will not repeat itself in the current context. In short, they must explain how a multiracial category will avoid simply reinforcing the existing racial and color hierarchy. The third argument-that a multiracial category will allow mixed-race persons to self-identify and to acknowledge the totality of their racial heritages-is intuitively appealing. It seems that a goal of multiracial category proponents is to challenge the continued application of the one-drop rule (e.g., the notion that a person is Black if she has a trace of blackness in her physical appearance or in her ancestry). Again, this goal seems fair, neutral, and perhaps even laudable. 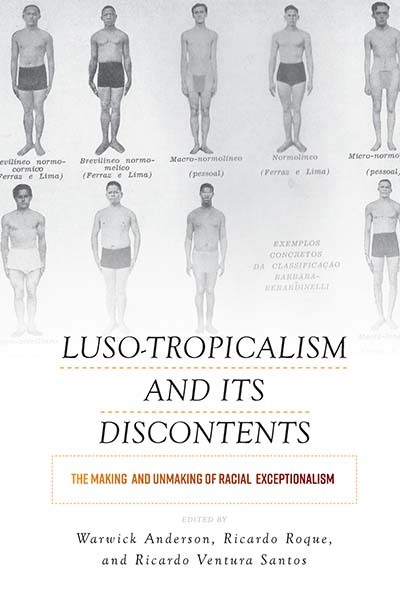 However, as I explain below, an unintended consequence or negative externality of this objective must be considered: mixed-racial heritage and skin color may operate to elevate the status of lighter-skinned multiracial individuals, while doing nothing to alleviate the subordination of those who are darker or to change the idea that Black is undesirable. Trina Jones, "Shades of Brown: The Law of Skin Color," Duke Law Journal, Volume 49, Number 6 (April 2000): 1521-1525.